Since their first characterization in 1990, miRNAs, the small RNAs that can inhibit gene expression, have been studied extensively. Important roles of miRNAs have been found in cancer, heart disease, obesity, nervous system, and lately muscle diseases. 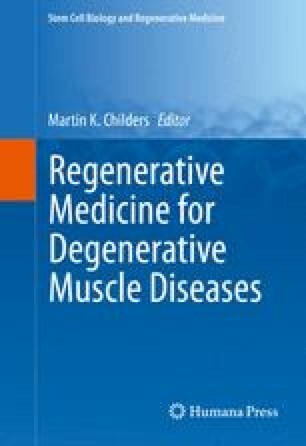 In this chapter, we will review the roles of miRNAs in muscle repair and special pathology aspect of myopathies and then correlate these roles into potential therapeutic approaches for muscle diseases. We will also analyze the advantages and the caution needed when using miRNAs in targeting muscle dystrophies.